Tibetan Temple Chest in Solid Cherry. This is my Tibetan Temple Chest, based on an ancient piece found in a Tibetan temple. The design is based on a Golden Rectangle. 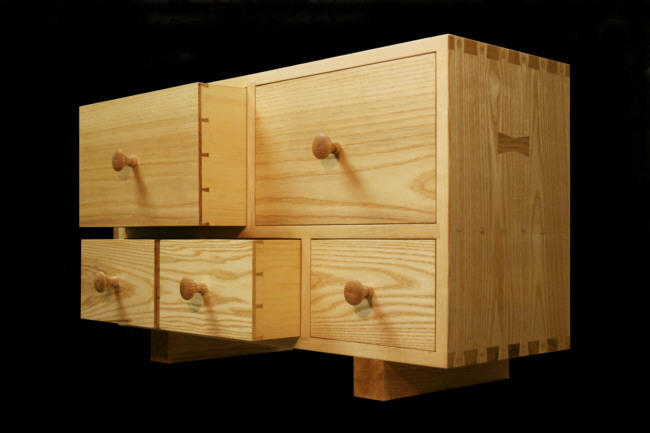 The chest body and all of the drawers have the same proportions. 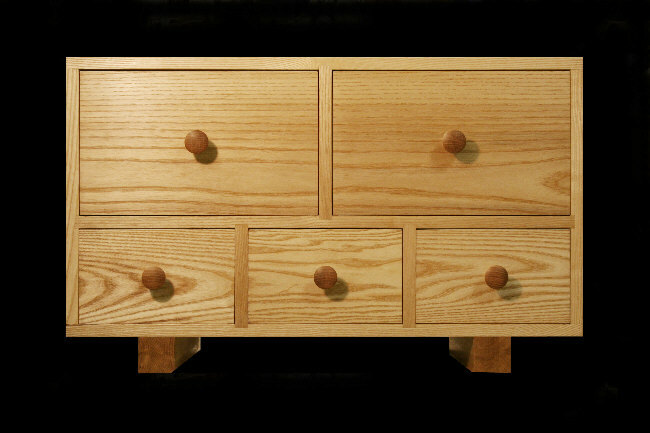 The casework, pegs, drawer-pulls and base are all solid ash. 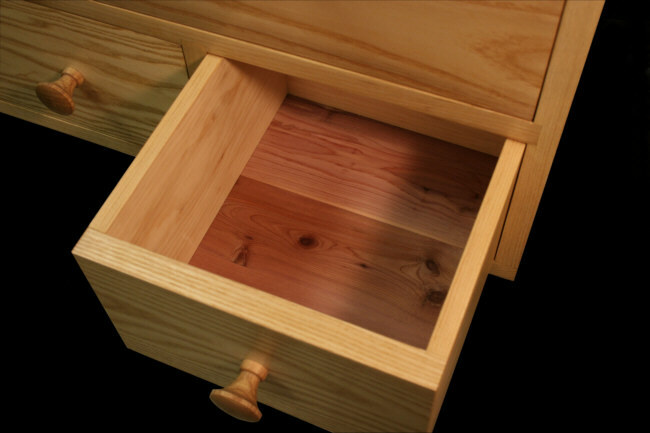 The drawer insides are made of #1 clear pine. Drawer bottoms are aromatic red cedar. 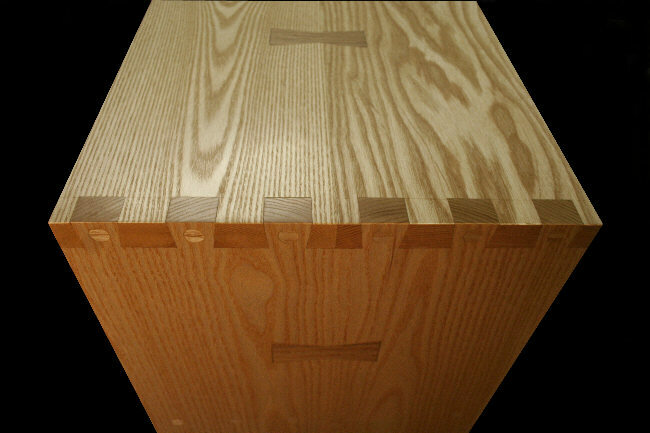 As usual, all drawers are made with hand-cut dovetail joinery and have an almost airtight fit to keep out dust and moisture. Perfect for storing drawings, art supplies, herbs, candles, incense, books, or precious items. Can be made in custom sizes. This picture of a cherry and walnut chest with back removed shows the structural details of each individually fitted drawer, sliding in its own position. 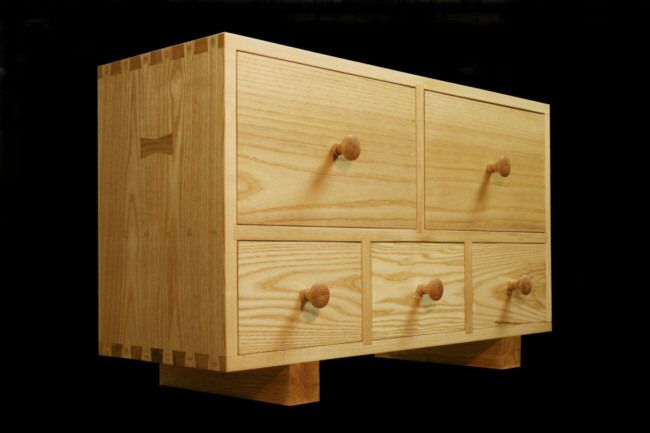 All drawers are made using hand cut dovetail joinery and have drawer bottoms of aromatic red cedar which provides a nice fragrance and repels moths. 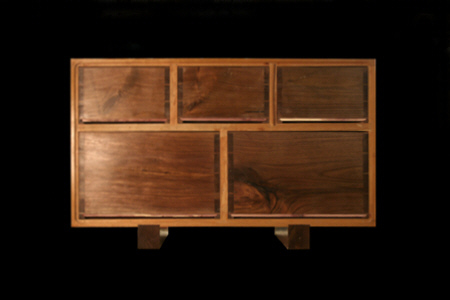 Tibetan Temple Chest in Cherry and Walnut.